Overnight Apple Pie Steel Cut Oats are a hearty and filling breakfast, perfect to keep you going all morning long. I prefer them for my diabetic husband over rolled oats, and by adding in a dash of cinnamon as well, they keep his blood sugars nice and steady all morning long! Don't forget to enter the giveaway at the bottom of this post! For a full list of prizes, see the welcome post. With just a little bit of prep the night before and a few minutes in the morning, you can have a batch ready for your family. Actually, I make this in large batches and store in the fridge, and then just reheat, and add in my toppings, and a dash of creamy milk or soy milk, and it is ready to go! Steel cut oats just hold up way better than rolled oats! Q; What is the difference between rolled oats and steel cut oats? A: It's the amount of processing. Rolled Oats are precooked by steam, rolled, then steamed again and toasted. Steel Cut Oats are just coarsley chopped. so they have a lower glycemic index. Q: What does glycemic index mean? A: A measurement that predicts how much a person's blood sugar will spike after eating the food. There is a great graphic to answer some nutritional questions about rolled vs. steel cut from prevention.com. So for my diabetic husband, who needs to avoid blood sugar spikes, steel cut oats are a better choice than rolled oats. So, when I can, I make big batches of this recipe, and store in the fridge. Then he just scoops out a serving, reheats it in the microwave, tops it with some cinnamon, and some nuts, and a dash of milk, and he is ready to go. Jan's Tip: You can use fresh apples and peel and chop them in the morning and cook them down with the oats if you make this as a fresh batch in the morning. I just rarely have time, so I use a can of sugar fee apple pie filling and cut up the apples and stir it in at the end of cooking, to make things easier and faster. Feel free to play around with it, I prefer honey crisp apples if you are going to use fresh! Sponsor Shout Out: Flahavans Provided me with oatmeal and Nairn's Oat Graham Crackers for use in creating a recipe for appleweek. Flahavan's has been milling oats at their family mill for 200 years! They know oats, and they know quality! 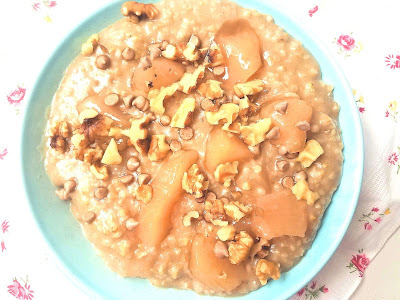 These Irish oats, or truly scrumptious! I'm using their steel cut oats today, but they also produce traditional rolled oat flakes too! 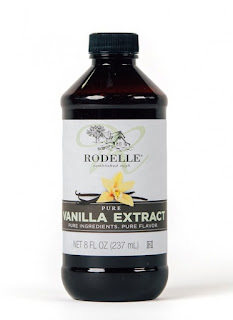 Sponsor Shout Out: Rodelle Provided me with Vanilla Extract for Apple Week this week! I used it in my oatmeal recipe for that extra layer of flavor! If you are going to go low sugar, you can't skimp on quality ingredients in other areas! 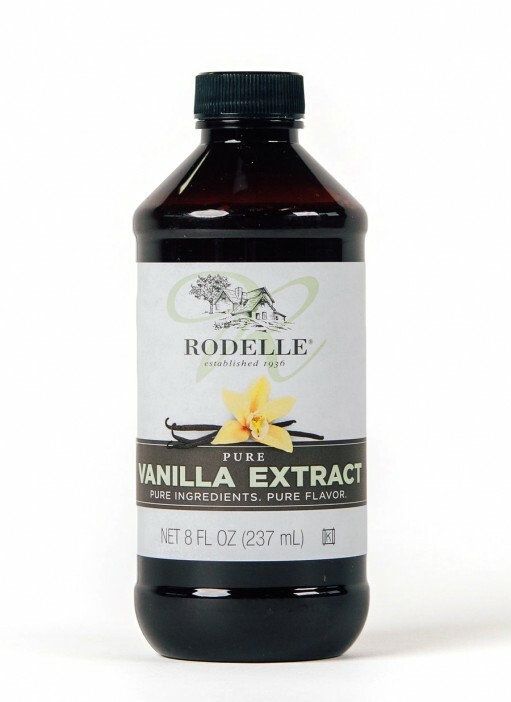 Imitation vanilla will NOT do, and Rodelle is known for their quality extracts! I've used them for several years now, from lemon, to almond, so I was quite excited to be able to share with you my love for their Vanilla and other great products! 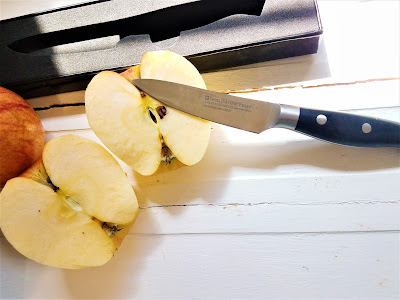 Sponsor Shout Out: Swiss Diamond provided me with this paring knife for Apple Week. I used it throughout all my recipes this week , including prepping the apples in the filling for this recipe! I have never treated myself to quality knives before! In fact i don't remember the last time I even bought knives! What a treat to handle quality cutlery! 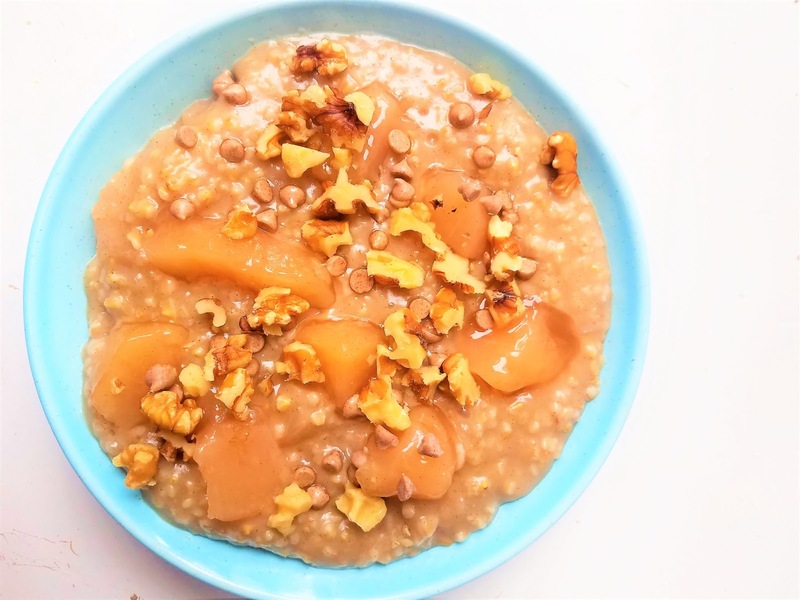 A hearty and filling breakfast from healthy steel cut oats that will keep you going all morning long, but without the long cook time. In a medium pot, add steel cut oats and water.Bring to a boil and let simmer for 2 minutes.Remove from heat and cover with lid and let sit overnight.In the morning, add milk, your choice of sweetener, and cinnamon. Stir to combine.Cook over medium heat stirring occasionally, until warmed through and thickened to desired thickness, anywhere from 5-10 minutes. stir in apple pie filling. Remove from heat.Pour into serving bowls and top with optional toppings such as chopped nuts, cinnamon chips ,or dried cranberries. I love starting the day with oatmeal.